Bourbeau, Philippe, On Resilience. 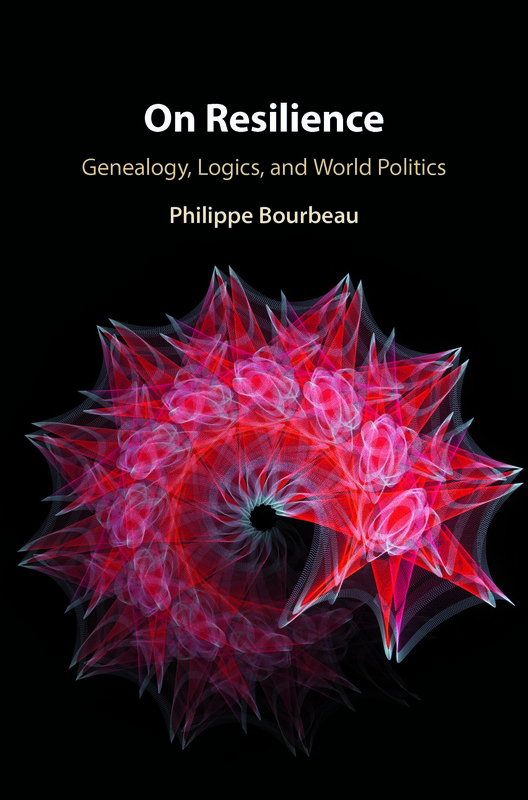 Genealogy, Logics, and World Politics, Cambridge, Cambridge University Press, 2018, forthcoming. What does it mean to be resilient in a societal or in an international context? Where does resilience come from? From which discipline was it “imported” into International Relations (IR)? If a particular government instrumentalises the meaning of resilience to its own benefit should scholars reject the analytical purchase of the concept of resilience as a whole? Does a government have the monopoly of understanding how resilience is defined and applied? This book addresses these questions. Even though resilience in global politics is not new, a major shift is currently happening in how we understand and apply resilience in world politics. Resilience is indeed increasingly theorised, rather than simply employed as a noun; it has left the realm of vocabulary and entered the terrain of concept. This book demonstrates the multiple origins of resilience, traces the diverse expressions of resilience in IR to various historical markers, and propose a theory of resilience in world politics. The Handbook on Migration and Security seeks to provide analyses of several aspects of the links between migration and security in a globalised world. 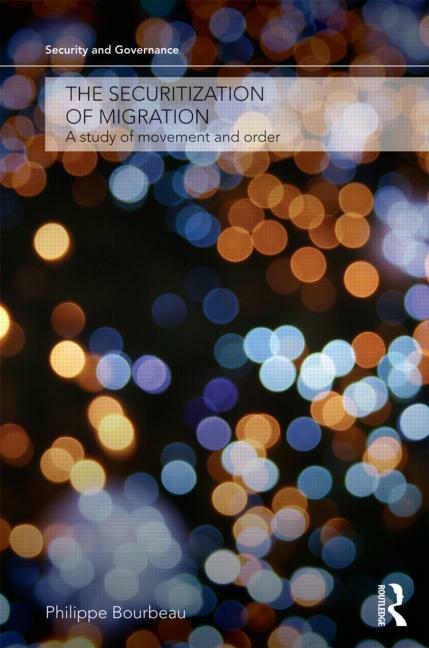 This unique Handbook has two objectives: first, to explore the growing diversity of approaches, paradigms, questions, and methods developed to study the migration-security nexus; second, to initiate a multidisciplinary dialogue about the ontological, epistemological, explanatory, and normative aspects of the links between migration and security in social sciences and beyond. Drawing content from a wide range of international scholars, the volume examines the securitisation of migration across several disciplines and issue areas. Themes covered: Political economy, Gendered bodies, Discourses and practices, Ethics, Urban studies, Detention, Environmental refugees, Resilience, Migrant smuglling, Surveillance, Xenophobia, Politicisation, Media, Pandemics, International organisations. Contributors: Anthony M. Messina, Christopher Browning, Christopher Rudolph, Lauren Wilcox, Philippe Bourbeau, Ricard Zapata-Barrero, Lorenzo Gabrielli, Dan Zuberi, Ariel Taylor, Roxanne Doty, Gregory White, Marianne Potvin, Diane Davies, Anna Triandafyllidou, Valsamis Mitsilegas, Niovi Vavoula, Ariane Chebel d’Appollonia, Pietro Castelli Gattinara, Laura Morales, Alexander Caviedes, Christina Greenaway, Brian D. Gushulak, Antoine Pécoud, Martin Geiger, Mikhail A. Alexseev, Robert Muggah. Reviewed in: Journal of Regional Security. Security is one of the most daunting subjects of the 21st century. This edited volume provides a comparative analysis of the ways in which the concept of security is theorised and studied across several disciplines. This book has two objectives: first, to explore the growing diversity of theories, paradigms and methods developed to study security; second, to initiate a multidisciplinary dialogue about the ontological, epistemological, paradigmatic, and normative aspects of security studies in social sciences. Drawing content from a wide range of international scholars, this volume examines the study and theorisation of security across several disciplines and issue areas. 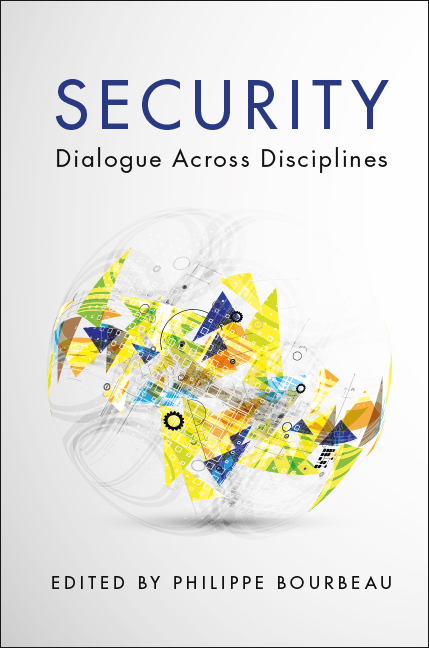 Readers from different fields are invited to reflect on their conceptualisations of security and to consider how an interdisciplinary dialogue can stimulate and enrich the understanding of security in our contemporary world. Reviewed in H-Diplo, Journal of Baltic Security, Revue française de science politique, Choice, Études internationales. Bourbeau, Philippe, The Securitisation of Migration. A study of movement and order. London, Routledge, 2011. Series Security & Governance. The Securitization of Migration is about the movement of people and the system of order underpinning the movement. In undertaking a comparative study of Canada and France, the study analyses the process of securitizing migration. 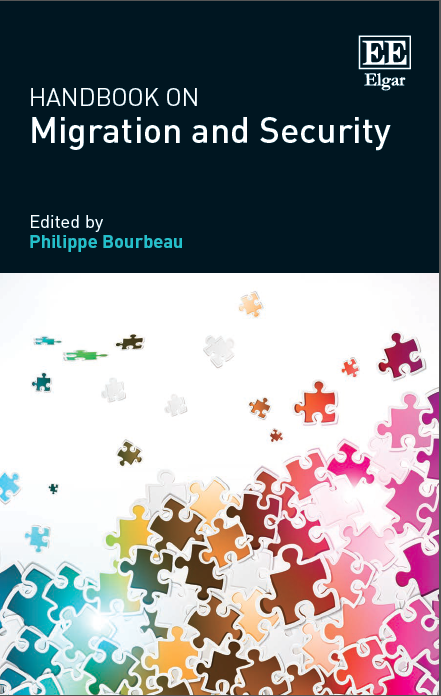 It explores the process of discursively and institutionally integrating international migration into security frameworks that emphasize policing and defence. Drawing upon social theory, migration studies, and Securitization Theory, the book seeks to understand the concepts of power underlying security frameworks and how these affect the treatment of migrants and immigrants. The book systematically and comparatively analyzes the role of political agents, media agents, and contextual factors in the process of securitising migration. Hill, Christopher. “Multiculturalism meets International Politics. Review Articles”, Ethnicities, 2016. Messina, Anthony. “Securitizing Immigration in the Age of Terror. Review Articles”, World Politics, 2014, 66(3): 530-59. Czech Journal of Political Science. Bourbeau, Philippe, La Chine et la diaspora chinoise. L’Extrême-Orient russe convoité, Paris, Harmattan, 2002. L’objectif premier de cet essai est d’éclaircir la nature des rapports qu’entretient la Chine avec la diaspora chinoise et d’en mesurer la portée. En outre, il tente de cerner en quoi cette relation État-émigré spécifique affecte les relations sino-russes depuis la chute de l’URSS. Comment la Chine perçoit-elle la place de la Russie dans l’espace géostratégique du Nord-Est asiatique? Cette place est-elle compatible avec la présence de plusieurs milliers de Chinois ayant émigré en Extrême-Orient russe?